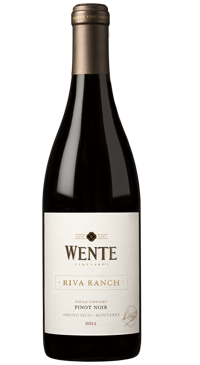 Riva Ranch Single Vineyard Pinot Noir is sourced exclusively from our family’s vineyard in Arroyo Seco, Monterey. Arroyo Seco is the ideal region to grow this Burgundian varietal because of the long, cool growing season, which allows the grapes to fully ripen and develop deep fruit flavors. The gravelly-loam soils found here, rich with shale and limestone deposits, impart desirable earthy and mineral qualities to the wine. This wine was fermented in small stainless steel tanks and pumped over twice daily to maximize the extraction of all the wonderful flavors, aromas, and textures. Aged for 20 months in 50% new French oak and 50% in neutral.